Country powerhouse Jason Aldean shares another new track off his upcoming Rearview Town album with "Gettin' Warmed Up" a fire-breathing party-starter with a splash of tailgate rap thrown in. The song is written by Josh Mirenda, Jaron Boyer and Cole Taylor, the track is dominated by heavy-metal guitars, pounding drums and steady synth undertones, as Aldean does some chest-thumping in honor of a wild night that just won't quit. 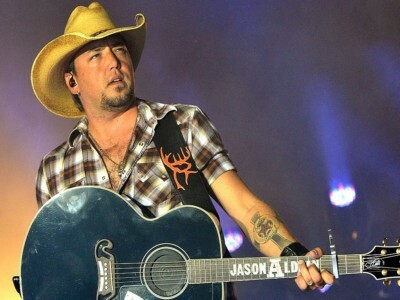 But on top of the headbanging sound and high-energy feel, the song also includes eight bars of strutting rap, with which Aldean first experimented on the 2011 monster hit "Dirt Road Anthem." ->>> Download more country ringtones at my site. Good fun!